Arts • Part competition, part celebration, Utah High School Musical Theatre Awards channel spirit of generosity. 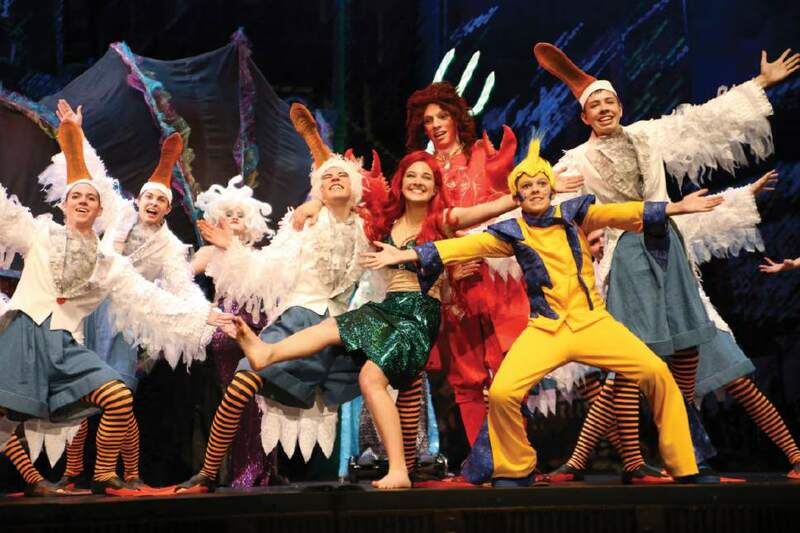 A scene from Uintah High School's production of "The Little Mermaid," named Best Musical in the 2016 Utah High School M | Courtesy Intrigue Photography Pippin – Highland High School – Best Musical Finalist. | Courtesy Intrigue Photography Best Actor Medley featuring Angel Martinez in front who won Best Actor last year. | Courtesy Intrigue Photography Urinetown from Northridge High School – Best Musical Finalist | Courtesy Intrigue Photography The Little Mermaid ñ Uintah High School ñ Winner Best Musical 2016. | Courtesy Intrigue Photography Best Actress Medley featuring Hannah Romney in front who won Best Actress last year. | Courtesy Intrigue Photography The Little Mermaid ñ Uintah High School ñ Winner Best Musical 2016. 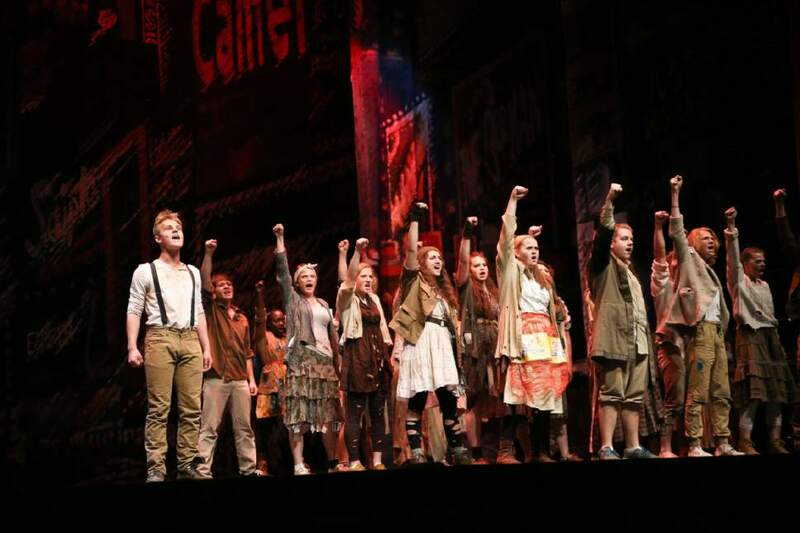 | Courtesy Intrigue Photography Urinetown from Northridge High School – Best Musical Finalist Northridge High School's "Urinetown" was a Best Musical finalist in the 2016 Utah High School Musical Theatre Awards. 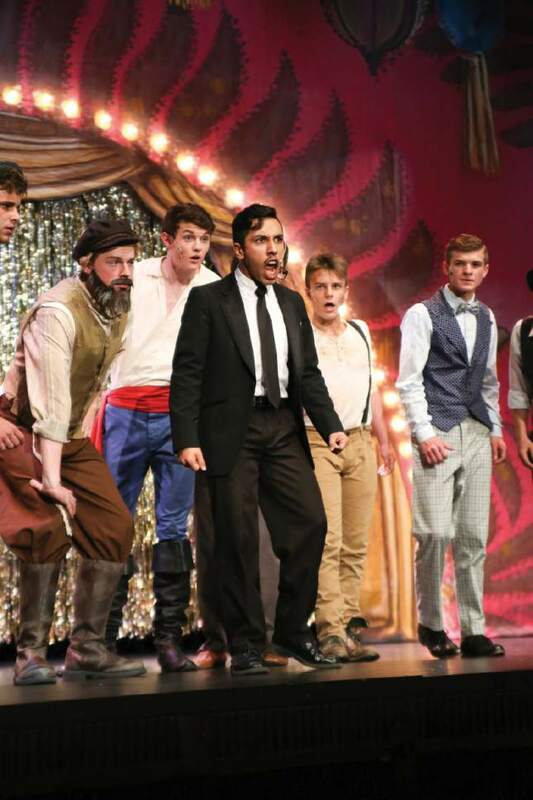 Th The Best Actor Medley featuring Angel Martinez, in front, who won Best Actor at the 2016 Utah High School Musical Theatre Awards. 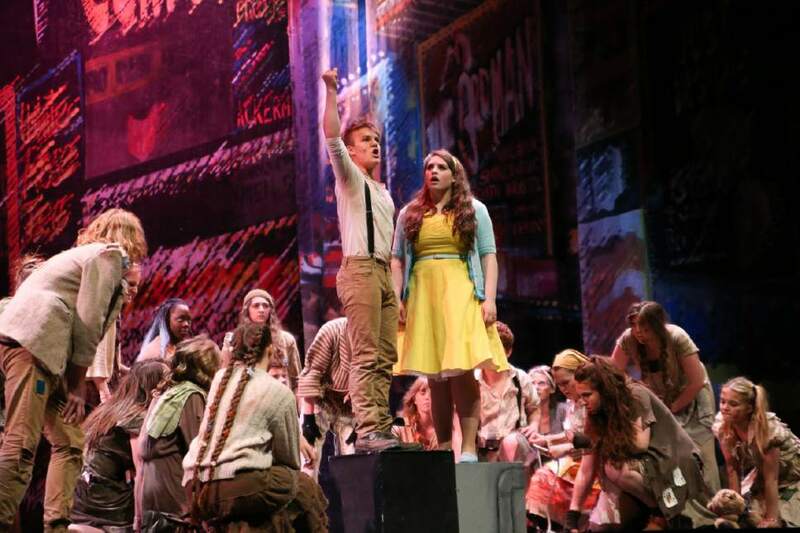 Highland High School's "Pippin" was a Best Musical finalist in the 2016 Utah High School Musical Theatre Awards. 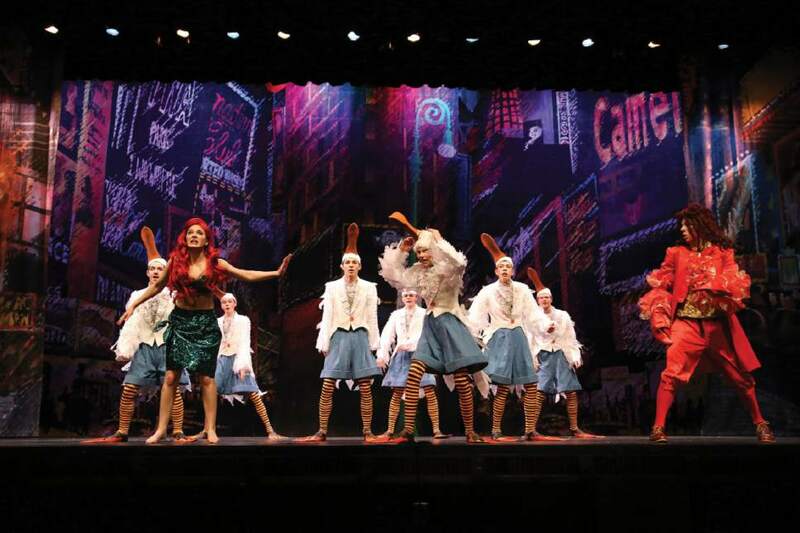 The 201 | Courtesy Intrigue Photography The Little Mermaid – Uintah High School – Winner Best Musical 2016. 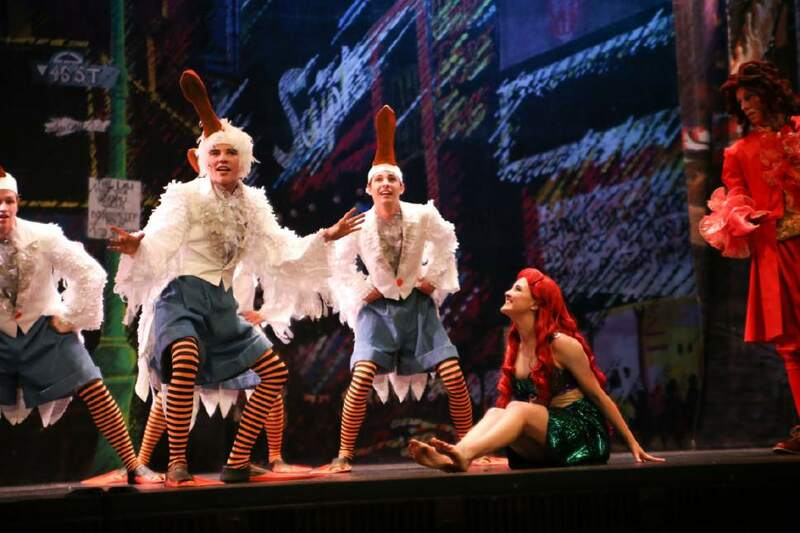 A scene from Uintah High School's production of "The Little Mermaid," named Best Musical in the 2016 Utah High School Musical Theatre Awards. The 2017 awards competition show is Saturday at the Eccles Theater in downtown Salt Lake City. 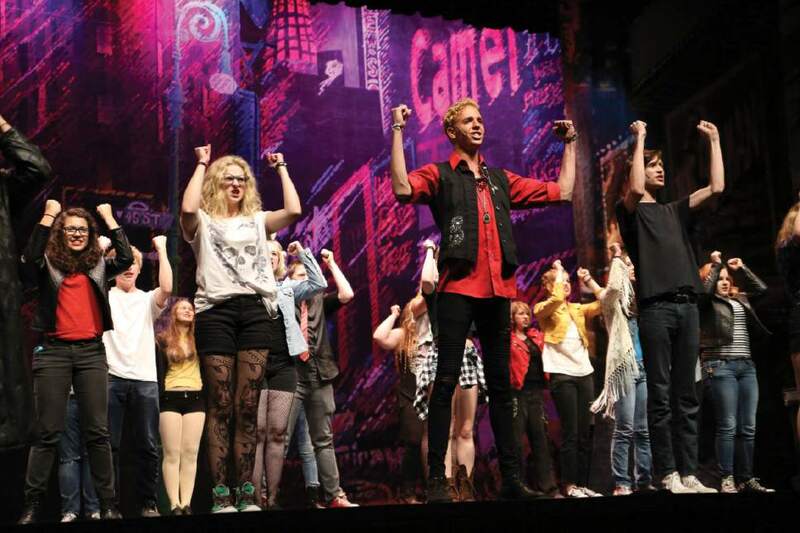 Courtesy Intrigue Photography | Courtesy Intrigue Photography Pippin – Highland High School – Best Musical Finalist. | Courtesy Intrigue Photography Best Actor Medley featuring Angel Martinez in front who won Best Actor last year. | Courtesy Intrigue Photography Urinetown from Northridge High School – Best Musical Finalist | Courtesy Intrigue Photography The Little Mermaid ñ Uintah High School ñ Winner Best Musical 2016. | Courtesy Intrigue Photography Best Actress Medley featuring Hannah Romney in front who won Best Actress last year. | Courtesy Intrigue Photography The Little Mermaid ñ Uintah High School ñ Winner Best Musical 2016. 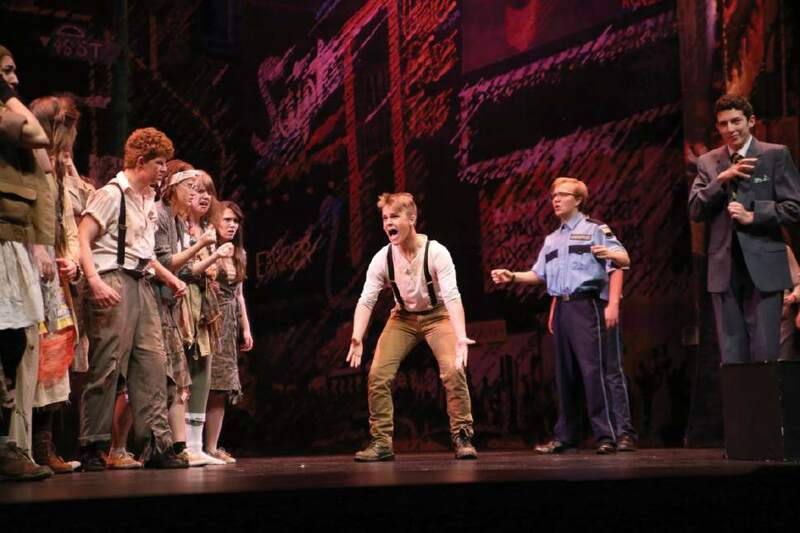 | Courtesy Intrigue Photography Urinetown from Northridge High School – Best Musical Finalist Northridge High School's "Urinetown" was a Best Musical finalist in the 2016 Utah High School Musical Theatre Awards. The 2017 awards competition show is Saturday at the Eccles Theater in downtown Salt Lake City. Courtesy Intrigue Photography The Best Actor Medley featuring Angel Martinez, in front, who won Best Actor at the 2016 Utah High School Musical Theatre Awards. The 2017 awards competition show is Saturday at the Eccles Theater in downtown Salt Lake City. Courtesy Intrigue Photography Highland High School's "Pippin" was a Best Musical finalist in the 2016 Utah High School Musical Theatre Awards. The 2017 awards competition show is Saturday at the Eccles Theater in downtown Salt Lake City. Courtesy Intrigue Photography | Courtesy Intrigue Photography The Little Mermaid – Uintah High School – Winner Best Musical 2016. 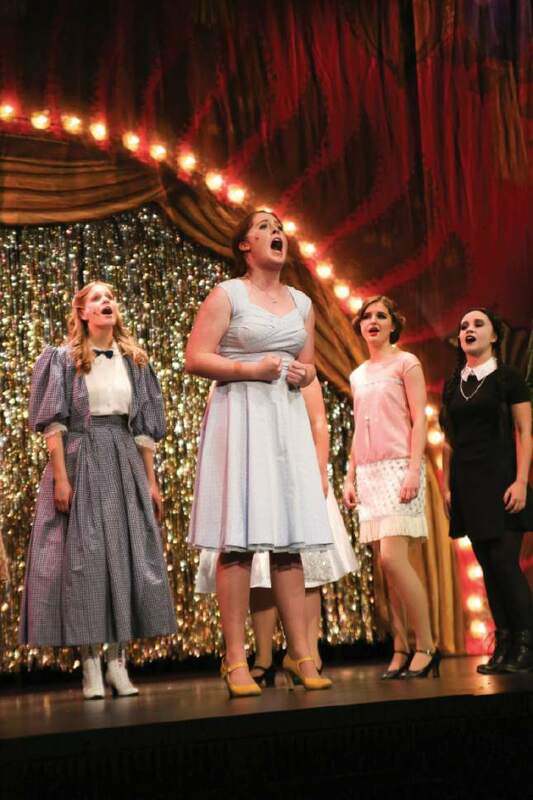 Michael Ballam said he wasn&apos;t sure what to expect when his Logan-based Utah Festival Opera & Musical Theatre played host to the first Utah High School Musical Theatre Awards in 2011. Noting that the runners-up in athletic competitions don&apos;t always react in a sportsmanlike way, he made sure to have security on hand. "Boy, was I wrong," Ballam said, describing the instantaneous cheers and prolonged ovation that greeted the announcement of West Jordan High&apos;s "West Side Story" as Best Musical. "It&apos;s not really a competition, it&apos;s a celebration," Ballam said. "We&apos;re giving a trophy, but that&apos;s just an excuse to get them there to celebrate each other." "It&apos;s such a positive environment," said Aitana Alapa, the 2014 Best Actress winner for her performance in Woods Cross High&apos;s "Aida." "I just loved meeting such talented people" during the day of workshops that precedes the award ceremony. Even better was being coached by Renée Elise Goldsberry (shortly before "Hamilton" made her a household name) in New York. Alapa, who&apos;s now studying at Brigham Young University, said the lessons she has learned through theater have given her more confidence in job interviews and class presentations as well as in her interactions on her LDS Church mission in the Philippines. Abby Watts, a senior at Woods Cross, is a three-time Best Actress nominee. She won in 2015 in the title role of "Mary Poppins"; this year, she&apos;s nominated for playing Belle in "Beauty and the Beast." "We do a lot to recognize sports and education, which are awesome and super important, but the arts are important, too," she said. Angel Martinez, last year&apos;s Best Actor for his portrayal of Gomez Addams at Clearfield High, will miss this year&apos;s awards because he&apos;s performing in the Ziegfeld Theater production of "Beauty and the Beast." If he could be there, he said, he&apos;d give the winners some advice: "You&apos;ll do a lot  a LOT  of singing [in New York]. Be careful with your voice. It&apos;s easy to strain it." The Jimmy Awards have been around since 2009. When Ballam learned about the program, "I said, &apos;Holy mackerel, Utah has more musical theater per capita than any state. We should be doing the same,&apos; " he recalled. Although only two prizes are handed out at the Jimmy Awards, the state event is more like the Tony Awards in that trophies are given in supporting, directing and technical categories as well, Ballam noted. Any Utah high school, public or private, is welcome to enter the competition. Directors must notify UFOMT of performance dates and agree that, if chosen, their students will be prepared to perform a production number at the spring award ceremony. Two musical-theater professionals will attend each participating show and give feedback to the cast and crew afterward. The entire judging panel  25 this year  will watch video recordings of the 10 finalists. Ballam said 29 shows are in contention this year, representing 25 schools. "It&apos;s not about how flashy you are or how much money you spend," he said. (Utah&apos;s first Best Actress winner came from St. Joseph Catholic High School, with an enrollment of 187.) UFOMT also awards two paid internships for its summer season to participating students. Students from 25 Utah schools will compete in the seventh annual Utah High School Musical Theatre Awards. Alta High, "The Music Man"
DaVinci Academy, "Fly by Night"
Layton High, "The Little Mermaid"
Logan High, "Crazy for You"
Northridge High, "Fiddler on the Roof"
Ogden High, "The Sound of Music"
Park City High, "Little Women"
Uintah High, "Chitty Chitty Bang Bang"
Woods Cross High, "Beauty and the Beast"